Besides passionate fans, there's one other thing all ballparks -- from the Union Grounds in Brooklyn built in 1862 to the Baltimore Oriole's Camden Yards built in 1992 -- have in common: Each has its own vibrant and unique history. 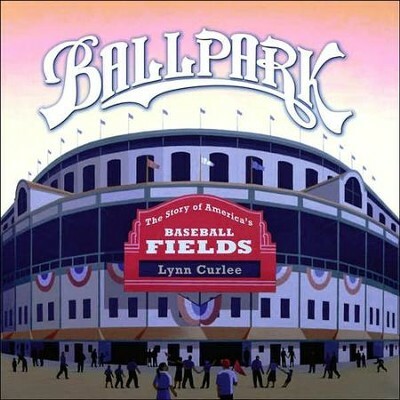 In Ballpark, Sibert Honor Award winner Lynn Curlee explores both the histories and the cultural significances of America's most famous ballparks. Grand in scope and illustrations, and filled with nifty anecdotes about these "green cathedrals," Ballpark also explores the changing social climate that accompanied baseball's rise from a minor sport to the national pastime. This is a baseball book like no other. I'm the author/artist and I want to review Ball Park: The Story of America's Baseball Fields.